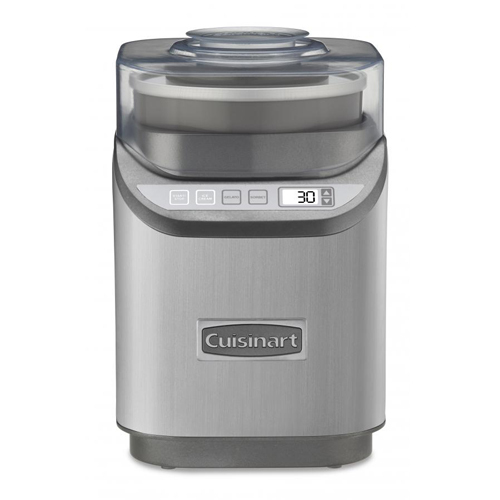 The Cuisinart ICE-70 is an ice cream maker which features improved paddle with faster processing time that makes two quarts of ice cream, frozen yogurt, gelato or sorbet. It has control panel with LCD screen and three settings with multiple speeds. 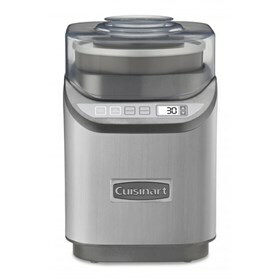 The ice cream maker provides ingredient spout and countdown timer with auto shutoff for better performance. The Electric Ice Cream Maker has many exciting features for users of all types. You can extend the lifetime of your Electric Ice Cream Maker with the purchase of a FactoryOutletStore Factory Protection Plan. See the Electric Ice Cream Maker product video and gallery images above for more details. The Electric Ice Cream Maker is sold as a Brand New Unopened Item.